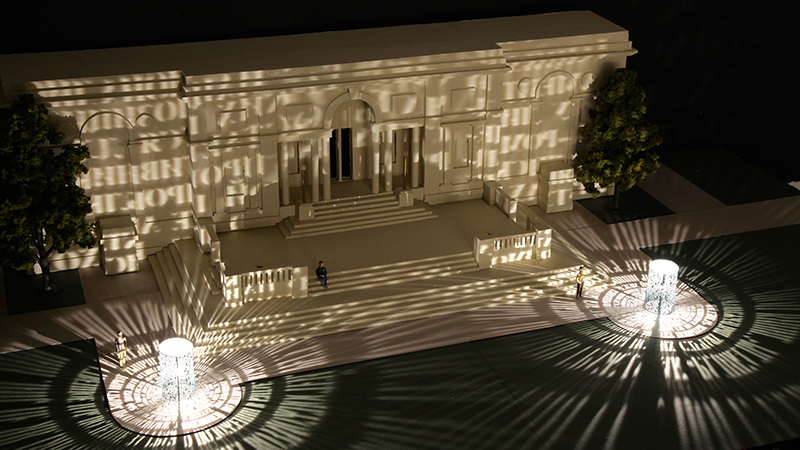 MAG is commissioning artist Jim Sanborn to make a public work of art for the area in front of our 1913 building. Argentum: Double-Positive consists of placing two projection cylinders in front of the “1913”. These cylinders are perforated with a series of texts that will at night (with the aid of an internal point source light) be projected widely onto the facade and surrounding landscape of MAG’s “1913” building. The texts will specifically highlight the creativity and invention that have been the core industry of the City of Rochester for decades. Read more in this article in the Democrat and Chronicle. 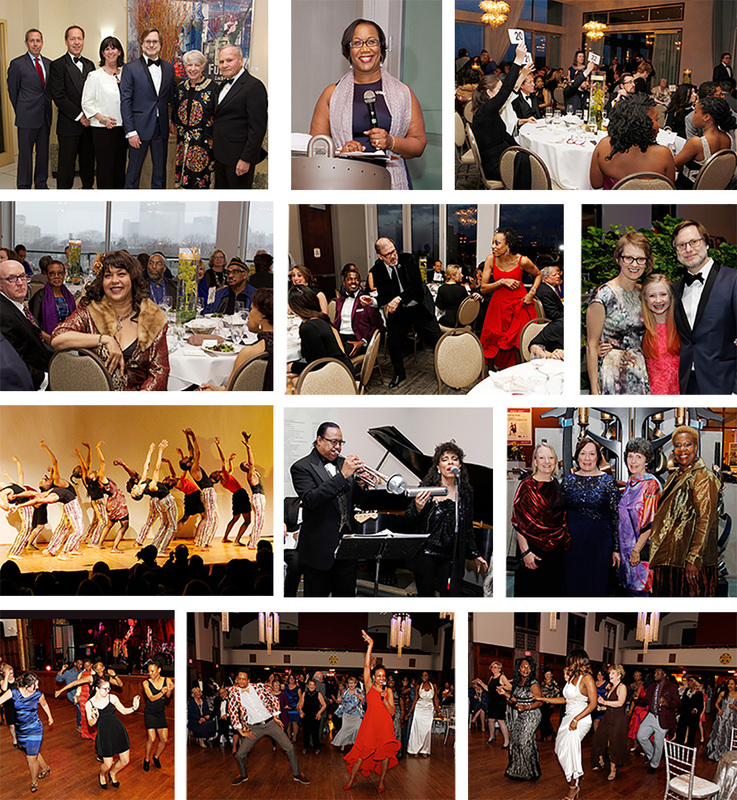 On April 2, a sellout crowd celebrated Inspiring Beauty: 50 Years of Ebony Fashion Fair at a cocktail reception and dinner at the Strathallan, followed by a gala and after party at MAG. Top row, from left: MAG director Jonathan Binstock poses with some of the evening’s sponsors; pictured are Todd Green, chief investment officer of presenting sponsor Alesco Advisors, David Burns, Margaret Burns, Carolyn Ettinger and Alan Cameros. | The Rochester Chapter of The Links, Incorporated, partnered with MAG’s Board of Managers to present the event; pictured is chapter president Diana Williams. | Bidding was brisk for five auction items, including dinner with artist Sam Gilliam and a tour of galleries and museums in New York City with director Jonathan Binstock. Second row, from left: Deborah Gregory, Cheetah Girls author and former runway model, gave a lecture earlier in the afternoon. At left is Timothy Cosgriff of Gregory’s alma mater, SUNY Empire State College (which sponsored her talk); across the table is Garth Fagan, whose dancers performed. | At the Strathallan, artist Wayne Higby danced with Frances Hare. | Director Jonathan Binstock brought his wife, Ann, and daughter, Ellen. Third row, from left: Garth Fagan Dance performed for a packed auditorium; shown is the finale of Geoffrey Holder Life Fete…Bacchanal (2015). | In the Vanden Brul Pavilion, Nate Rawls set the mood, with vocals by Dilynda. | Chris Garland, MAG assistant director of advancement, provided staff support for gala cochairs Charlotte Herrera, Mary Sue Jack and Delores Jackson Radney. Bottom row: In the M&T Bank Ballroom, guests danced to music by Atlas. In the center photo, they were led by emcee Shawn Dunwoody (in patterned jacket) and Frances Hare (in red dress). Top row, center: Mingling in the Fountain Court. Director Binstock with MAG staffers Sheri Burgstrom (with John) and Debbie Foster (with Jeff)—you guess which one is Jonathan! Zombies march through the museum. 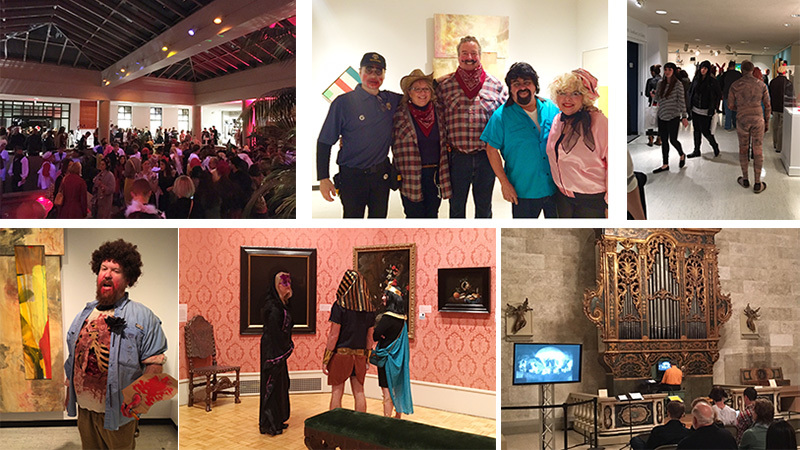 Bottom row, from left: John Magnus, the evening’s winner for “funniest costume.” Escapees from the Ancient Gallery enjoying a “De-Tour.” Professor Edoardo Bellotti of the Eastman School of Music accompanying Phantom of the Opera on the Italian Baroque organ. 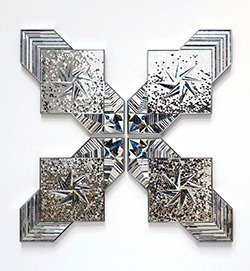 Shown: Monir Shahroudy Farmanfarmaian’s Convertible Series, Group 10 (2011), will be a focal point of the newly renovated galleries. Mirror and reverse-painted glass on plaster and wood. Maurice R. and Maxine B. Forman Fund and Marion Stratton Gould Fund. ca. 1820). Gift of Helen H. Reiff in memory of Robert F. Reiff. 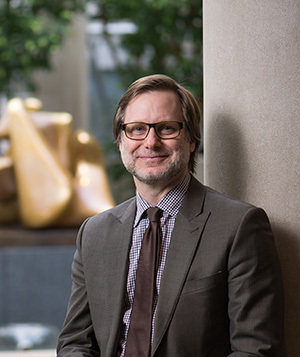 In July 2014, Jonathan Binstock was named the Mary W. and Donald R. Clark Director of the MAG. Binstock comes to Rochester from New York City, where he was a senior vice president and senior advisor in modern and contemporary art for Citi Private Bank’s Art Advisory & Finance group. 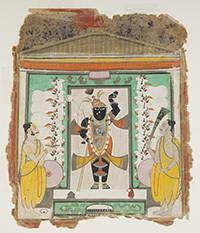 He brings more than a decade of curatorial work in major American museums including the Corcoran Gallery of Art in Washington, D.C., and the Pennsylvania Academy of the Fine Arts. Right: In September 2014, Binstock (second from left) hit the ground running his first week at MAG. 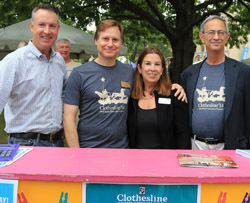 He’s shown greeting visitors to the Clothesline Festival along with Dan Burns, regional president of M&T Bank; Mary Koegel, president of the Gallery’s Board of Managers; and Joel Seligman, president of the University of Rochester. Photos by J. Adam Fenster (top); Richard P. Wersinger (Clothesline).